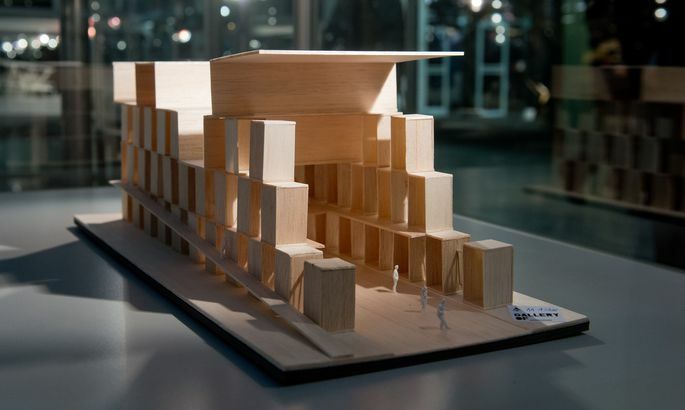 2015. aasta Milano maailmanäituse EXPO Eesti paviljoni ideekonkursi võidutöö. As announced yesterday by the foundation Enterprise Estonia (EAS), Estonia’s participation at EXPO Milano 2015 world exhibition is in doubt as contestation of building procurement received legal protection and they cannot enter into contract with pavilion builder in time. Meanwhile, €700,000 has already been spent on participation at EXPO, with €400,000 worth of liabilities assumed. At the moment, EAS is considering cancellation of building procurement and finding a new builder for Estonia among those already busy building pavilions in Milano, for Estonia’s stand to be ready at all by May 1st 2015. That, however, would in turn provide basis for the winner of procurement AS Ekspodisain to sue EAS and claim damages. E&G OÜ, unqualified at the pavilion procurement, began with contesting the procurement results at public procurements contestation committee, where it was not satisfied. Thereafter, the company had recourse to court which, last Friday, granted E&G-le legal protection. According to EXPO 2015 Estonian management committee head and EAS chairman Ahti Kuningas, they have not lost all hope yet. «At the moment, the best thing to do is launch preliminary negotiations with building companies already working at EXPO. If, by mid-January, we have not succeeded in finding a builder or have not found other solutions, we will then need to seriously consider backing out of EXPO,» said Mr Kuningas. According to EXPO project manager Andres Kask, the confirmed budget cannot be exceeded and any contract with a local builder should stay within current limits i.e. at €2m. According to Mr Kask, some companies on location are already finishing the pavilions and initial contacts with them have provided hopes a builder might be found. Even so, securing a builder without a procurement need to be sufficiently substantiated, and to that end they have sent inquiry to finance ministry and are waiting for their assessment to the situation. Backing out of EXPO may also lead to sanctions by organisers, but Mr Kuningas says these depend on when exactly they are notified. The EXPO is happening in Milano, from May 1st till October 31st of 2015. According to contract, Estonia has rights to use an area of 1,010 square metres.